South Florida Yacht Supplies Maintenance Products for Yachts and Sailboats. AbeamMarine Supply, Inc. is proud to offer technologically advanced, safe, biodegradable, marine maintenance products for everyone involved with the maintenance of commercial or recreational power boats, yachts, super yachts, and sailboats. 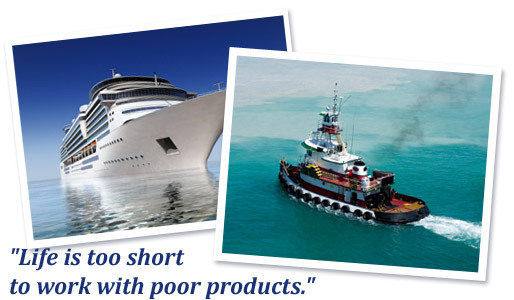 Our products help maintain the engine room, deck, and interior of any length vessel. There is no need to worry about harmful fumes or caustic contact. Best of all, our products are non toxic to marine life and our waterways. Click on our products page for a list and description showing the unique quality of each safe product that will help save our rivers and bays. Special Services for South Florida Yacht Owners. Selling all lubricants and fuels delivered to your yacht. AbeamMarine Supply, Inc. offers thes0e other fine services. Retail store consignment program available. We will put the stock in your store. Yacht Chandlery for visiting yachts. Just call and we will come to you.